By that measure, cloud computing has a way to go, as it is surely the most visible technology out there – if you are counting headlines, at least. So it is interesting to speculate when it will fade from our discussions, be supplanted by the Next Big Thing and become part of the furniture in the way that the PC is now. There are signs that cloud is beginning to mature and shift from being the preserve of the techie to entering the mainstream of business and consumer life. The mainstreaming of cloud is evident elsewhere and is having a counter-intuitive effect on industry bodies. The Cloud Security Alliance, for example, says it has to provide more information at a basic level because the pool of interested parties is much wider and less technical than anticipated. Beyond the wider appeal of cloud technology, the kinds of things companies are starting to use it for are also moving on, says Laura Colvine, UK and Ireland cloud strategy leader at IBM. 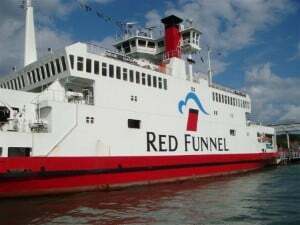 Take Red Funnel Ferries, for example, which runs ferries between Southampton and the Isle of Wight. This is a commuter line for a lot of people, and like many commuter communities they are a tight-knit group. Red Funnel Ferries decided that instead of simply pushing data to this group – timetables, information about service disruptions, weather and so on – it would set up a cloud-based tweeting environment and let the users share information among themselves as well. Colvine calls it the “Why can’t I just…” problem, as in: Why can’t I just print my documents to the place I am going? Why can’t my local council share information around its various silos, securely, in a way that benefits me? Simon May tends to agree. He sees cloud as a great leveller, allowing a single mum working from home making felt bunting, for example, to run a business that is as scaleable and professional as an enterprise. “Also, companies can move to a new region and be up and running overnight. We have a client who has just opened an office in Prague. Inside 24 hours they have staffed a call centre and added thousands of pounds in daily revenue. David Bradshaw, cloud specialist at analyst house IDC, sees differentiation as a key aim that most businesses pursue. Cloud – for all its standardisation – allows them to focus on just that. “Technology is not a differentiator, unless you are a technology firm. I am not going to buy your product because of the extra features on the customer relationship management [CRM] system you use,” he says. 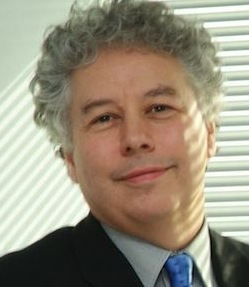 The volume of software that companies will build or devise for themselves will be smaller, but the output becomes much more important: it will be key to how they differentiate themselves, according to Bradshaw. He acknowledges that this shift is bad news for some IT services companies, but says the cloud market itself will get a big boost. Cloud software – applications, application design and development (also known as platform as a service) and infrastructure software including security – will more than quadruple. IDC forecasts that the market will climb from $3.3bn in 2010 to $15.3bn in 2015. Hardware services, which includes cloud servers and cloud storage, will grow from $1.2bn in 2010 to $5.3bn. These numbers do not include private cloud, whether on-premises or hosted by a service provider for a particular client – in other words these are all "productised" services sold to a market and a substitute for on-premise systems. But this is all short-term stuff, a series of small steps on an evolutionary path. What about the sci-fi version? Futurologist Ian Pearson describes cloud today as “a grown-up version of chips everywhere”. “There are good bits and bad bits. Cloud has significant performance limitations, and raises serious concerns: privacy, security. The communications network is the biggest roadblock to a fully clouded world, he says. “It is simple: the further away the bits are, the more delay you will have. If you have an application with a lot of procedure calls, each extra kilometre means an extra 5ms delay in the transaction. On a long round trip, that is significant. Pearson notes that while we have vastly increased the speed of computers by squeezing more transistors and then processing cores onto our chips, it is redundant power if your data is too far from the processor. The performance gains are simply eaten by the transmission delays. The ideal cloud network would need a revolutionary approach, he says. Instead of relying on massive centralised data farms, cloud presents an opportunity to develop a truly distributed network. 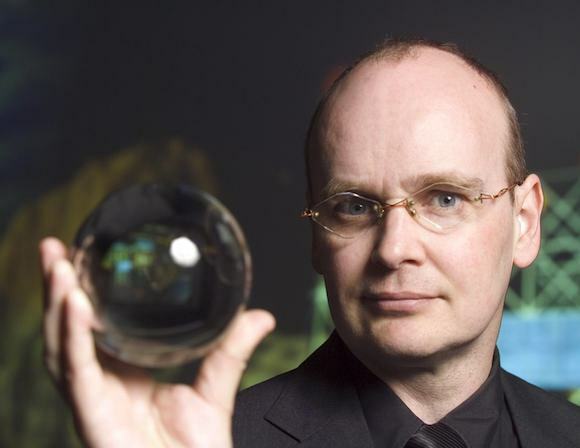 He envisions a world where access devices are secured at the hardware level and run stripped back operating systems. All the clever software would be kept in the cloud and accessed as needed. “Lots of the operating system is concerned with scheduling. You can do away with that if you throw enough cores at the problem. The capability is there; physics says you can do it. “We’ve done Moore’s law. Now we need to think of multiple cores – millions – in an optical gel providing free space interconnections between them. You could make something that is currently unimaginably powerful. This is not a particularly flattering comparison, and it may be a touch idealistic to suggest a total reboot of our approach to technology. But it illustrates just how much computing power we could one day have at our fingertips, interconnected in the cloud. There is a bigger problem even than starting a technical revolution that leaves us humans out-thought by a yoghurt pot: bandwidth. “What we call broadband these days was not what we meant by broadband back in the 1980s. You need at least 140Mbps upload speed and multiple Gbps coming down. Until then, copies will still have to be kept locally,” says Pearson. May sees the communications bottleneck as a problem too. He described his own experience of backing up his home data in the cloud. “It took two weeks,” he says in disbelief. Until this is resolved, the hybrid approach to cloud is likely to dominate, with different companies doing it different ways. These early tastes of cloud services might well be driven by a desire to cut costs, to switch IT from a massive investment to a simple operational expenditure.